Our San Angelo crew hit up the Fort Davis Cycle Fest this past weekend. 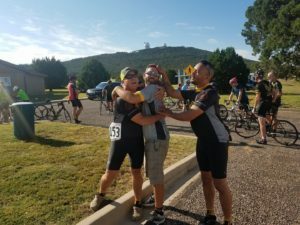 On the first day they rode the scenic loop around the Guadalupe Mountain Range, a total of 55 miles. 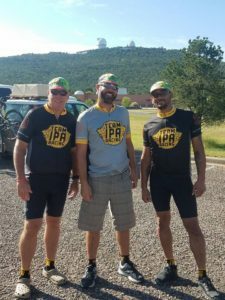 The second day, they rode up Mount Locke to the McDonnell Observatory, 7 miles of climbing with 1.5 miles at 17% grade. Nice work, fellers, and thanks to the support crew! This entry was posted in News on September 18, 2017 by Tony. Great job, Gran Gravel 500 Finishers!